Technically part of the ‘old world’ of whisky producers (including Scotland, Ireland, Canada, and the United States), Japan has around ten active distilleries. Yamazaki, arguably the most popular and certainly the first, is owned by drinks giant Suntory. You might know Suntory from their sticky-sweet unnaturally-green melon liquor: Midori. Yamazaki has made quality single-malt Japanese whisky since 1923. With the wild popularity of scotch in that country, it should be no surprise that some enterprising Japanese would set up shop to emulate that venerable liquid. Yamazaki’s malt is made in the traditional Scottish way, but is aged in a combination of ex-bourbon American casks, Spanish sherry casks, and Japanese oak barrels. 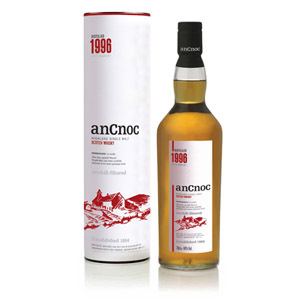 At 12 years and 43% ABV, it competes on a global scale with its inspiration, scotch. 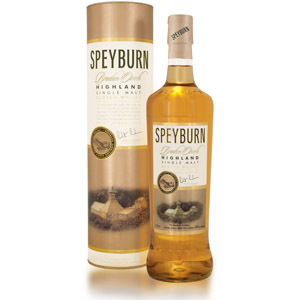 Appearance: Nice color for a whisky – there’s a faint orange hue that is very appealing. Nose: Fruit galore – there is a punchbowl of green banana, mango, honeydew, and pear – and a thick layer of pink bubblegum. Subsequent nosings give more and more banana, which is starting to verge on overripe. Under all the fruit is a veiled quantity of malt and cereal sugars. Luckily, after a few minutes of rest, the nose becomes dominated by the bubble-gum note, and not the banana. Palate: Nicely viscous body, and a very mild tongue burn. A touch bitter to start, then some banana and toffee and a slight suggestion of old oak. Finish: A wave of anise, followed by barbeque char, burned nuts, and bitter lemon. Medium-long. With Water: A splash of water opens up some black licorice, but doesn’t ameliorate the intensity of the banana notes. It also thins the body. I’d skip the water here. Overall: The positive experience of smelling all that fruit was short-lived. I’m not a big fan (as my regular readers know) of banana notes in whisky, and they are plentiful here, at least in the aroma. Pair that with a lot of bitterness on the finish, and you have a whisky that I wouldn’t buy for myself. It actually reminds me of the entry-level Amrut, for which I wrote similar notes. Of course, plenty of people like those banana notes and don’t mind some bitterness in the finish. To them I would say “Branch out! Try some malt from a whole ‘nother country!”… To the rest of us, I say skip it and start your Japanese whisky journey on something else. Note: I sampled a 50ml ‘miniature’ for this review. It should be noted that I have not had the best luck with minis in other reviews (especially of bourbon). It is possible that my review is skewed by this fact. Of course, since many people use miniatures to “try before buying”, they deserve to be judged at face value. Really enjoyed your comments on this Japanese whisky. It’s not something that I’ve really gotten into, but will have to check some of them out. The Nikka Taketsuru 12 Year Pure Malt is fairly decent. As The ScotchNoob has pointed out, below, Nonjatta is a good place to start if you’re looking at Japanese whiskies. Where should we start our Japanese whisky journey than? I had a bottle of ten year old Yamazaki and I fairly enjoyed it. Not top notch stuff, but I liked it. I would like to buy another Japanese whisky to broaden my whisky experience once again, but I don’t want to spend my hard earned cash to something that is not worth the money. TJ – Good question! 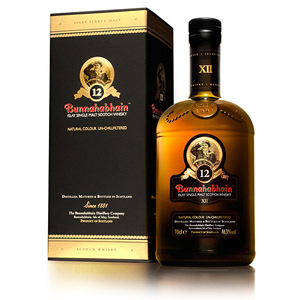 As the Yamazaki 12 was *my* first Japanese whisky, I can’t give you a solid recommendation for an alternative. I’ve heard good things about the Yoichi distillery, which makes the Nikka label as well, and I’m sure the older Yamazakis are much better (the 18 is supposed to be quite good). Hakushu is another option, although I know little about it. There’s also the Hibiki blends, which I’ve heard are worth a look. A good resource for Japanese whisky reviews is Nonjatta, by Chris Bunting. I am reading this review while enjoying a glass of 12 yr. old Yamazuki. This is the second bottle I have enjoyed. My son occaisonally travels to Japan and brings it back for me. I love Lalphroig and keep a bottle of each type around. However when I want a change this Yamazuki does the trick. Do yourself a favor and give it a try. It reminds me of Dewars 12 yr old reserve. Thank you! I am sure I can find some helpfull reviews there about Japanese whisky. 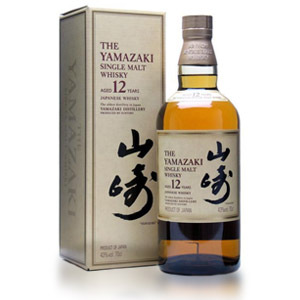 I’m actually a big fan of the 12 year-old Yamazaki, so you might want to giving it a shot anyway. See if you can find it at a bar. I found it to be a very savory whiskey, almost salty. It’s been a while since I’ve had it, though, so I can’t really describe it better. I just remember it being savory. I’ve also had Suntory’s Hibiki too, and it was very tasty (subtler and sweeter than the Yamazaki), but overpriced at $60-ish. Then again, the 12 y/o used to be in the $25-30 range, and at $40-45 it also is slightly overpriced. I’ve heard the 10 y/o is better than the 12, and the 18 is supposed to be good. 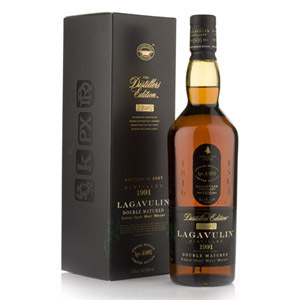 It’s hard to buy at $90-100, though, when I can get or Laphroaig Original Cask Strength or Lagavulin (and a decent rum or some good beer) for less money. Some of my favorite whiskies have bananas notes to the nose and palate, like rowans creek with its barbecued banana chips. It is a flavour i enjoy and i find in Willet whiskies. Still for a scotch based whisky it does not suit the profile. Like you I didn’t like the Yamazaki 12 when I first tried it. I bought a whole bottle and I would go back occasionally for a taste until I finally gave up on it. It sat for probably another 6 months. When I went back to it I was surprised. It had lost most of the sweeter notes and was quite good. I tend to pour and drink. I wonder if it just needed to be well aired? Thank you for the review. How strong was the anise? It isn’t a favorite flavor of mine. Not strong, exactly, just a wave of herbal flavor that hit my tongue for a few seconds and reminded me of aniseed, or anise-flavored liquors like Pernod. Totally agree with the assessment— found it a bit too banana flavor on the tongue followed by an herbal finish. The nose was great, was just disappointed in the taste. My first and only Japanese whiskey I didn’t like. Good review, but, with respect, I think you should stop sampling miniatures. Although the miniatures taste the same as a full-size bottle, I don’t think you get a true idea of the whisky by only tasting such a small sample. Som whiskies really need a few tastings to really get a complete understanding of what’s going on. As an example, I bought a bottle of Hibiki based on a friend’s recommendation. The first tasting was a complete let down and left me thinking I had blown $60. But I stuck with it (too cheap a person to throw it away or pass it on to someone) and kept coming back to it every few days. And guess what? I love it. I just needed the extra tastings in order to fully appreciate what it had to offer. Keep up the good work. Please tell me how, and where, I can donate $5.75 to purchase your next 50ml sampler bottle for a review? Fair play to you for having your website coming up so high on basic google searches. That takes a lot of knowledge and effort. Regarding reviews, come on… If you’re going to have this venture pay for itself, put your hand in your pocket and buy the occasional $50.00 plus bottle. One sample and review based on 50 ml doesn’t deserve the time it takes anyone to read through your review and find that info out at the end of it. Thanks, but no thanks. Invest before you try to spout wisdom, please.